Before I turned on my newly built amplifier for the first time, I wanted to be sure that I could do so safely without damaging the amp or injuring myself. If there were a short somewhere in the amplifier, it could suddenly start drawing current from the wall AC outlet without any limit except for the 2 amp fuse built into the amplifier. Of course, it could be too late by then, as components or transformers could be damaged by the sudden surge before the fuse could blow. 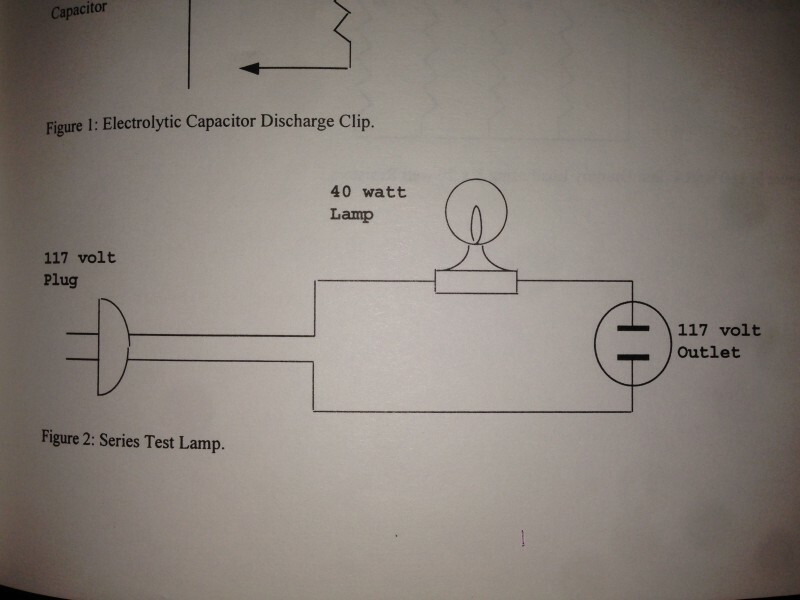 For this reason, I put together a series test lamp to act as a simple current limiter. Here is a simple schematic from Tino Zottola’s Vacuum Tube Guitar & Bass Amplifier Servicing. Essentially, it is (as the name implies) a single light bulb in series with one side of the AC line. It plugs into the AC outlet, and the equipment being tested is plugged into the limiter. If no short is present, the light will stay unlit or glow dimly. If a short is present somewhere in the unit, the bulb will glow brightly, as current is drawn through the filament. The higher the wattage rating of the bulb, the higher the current limiting capability. I stopped by the local hardware store and picked up some supplies. 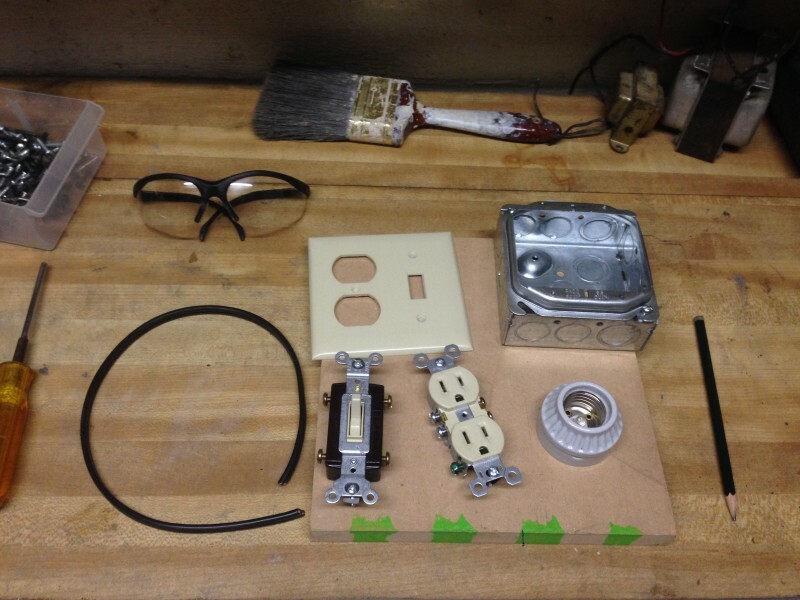 Some insulated copper electrical wire, a ceramic lightbulb socket, a steel junction box, a light switch, AC socket and some scrap particle board I had lying around. I already had a three-prong AC cord and plug that I salvaged from my Bassman project. I decided to make a small modification to Zottola’s design by adding a single pole single throw switch across the two lugs of the light bulb. 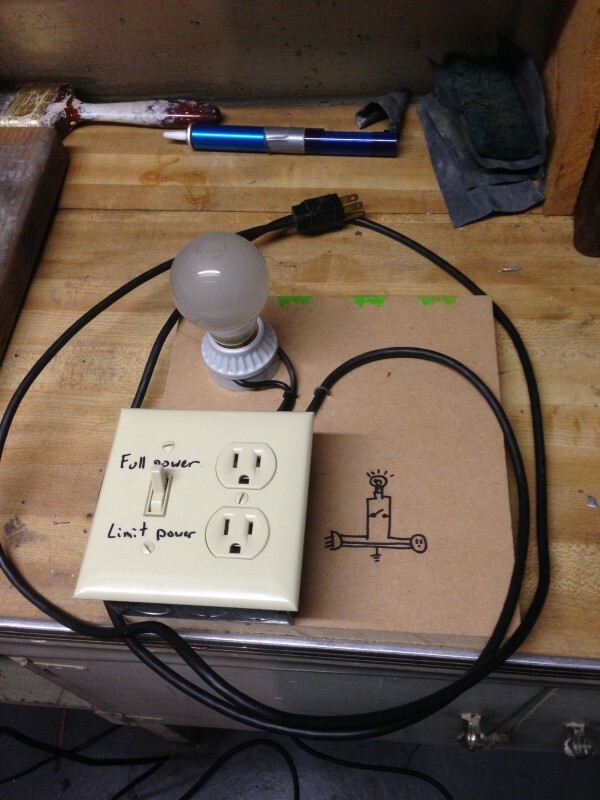 This way, by throwing the switch the bulb would be bypassed, allowing unlimited operation without having to unplug and replug the equipment being tested. 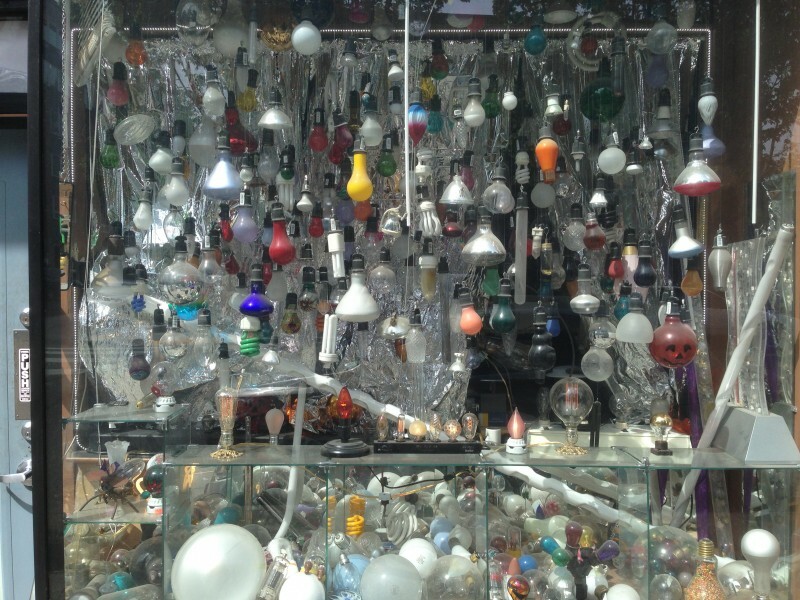 I opted for a 100W bulb, which are no longer in production but I found still available at Sunlan (pictured above), a small shop in my neighborhood that specializes EXCLUSIVELY in light bulbs. The lady that owns the store told me that when this stock is gone, it’s gone! So I bought the six pack, just in case. Below is the finished product, fully assembled and complete with the diagram in Sharpie. Now I am ready to see if this amp fires up.